A newspaper’s first obligation is to the truth. It also has to be mindful not to put its future in jeopardy. So, what happens when you uncover a grave secret that the government have been hiding for years – do you publish the story? Or do you protect your legacy? This is the dilemma faced by Kay Graham (Meryl Streep), publisher of The Washington Post, in a gripping film that recalls the discoveries of The Pentagon Papers in 1971. 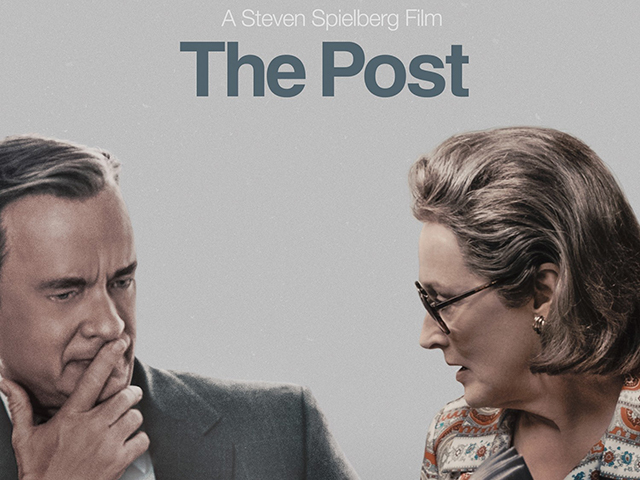 The Post, directed by Steven Spielberg, is a thrilling masterpiece that shows the reality of the challenges that journalism faces. In an age where journalism organisations are constantly accused of publishing ‘fake news’, this film is a reminder that few things are as important as the truth. The papers were a shocking internal report that detailed how “the White House has been lying about the (Vietnam) war for thirty years”. American military analyst Daniel Ellsberg (Matthew Rhys) realises the depths of the government’s deceptions and copies their top-secret documents. The New York Times got their hands on the papers months before anyone else knew they existed. They published details about how four successive president administrations lied to the American public about the reality of the Vietnam War. However, The Times received an injunction instructing them not to publish any more material on the topic. Tom Hanks portrays the Editor of The Washington Post Ben Bradlee, determined to pursue the story and expose the truth despite the worries of the newspaper’s investors. Bradlee firmly believes that “the only way to protect the right to publish is to publish”. Kay is not so keen on the idea. Street’s character is a socialite who has many friends in government, including former secretary of defence Robert McNamara (Bruce Greenwood) who knew they couldn’t win the war, but chose to pretend they could. In an intense sequence of scenes in Bradlee’s house, trusted Washington Post employees hastily read through the Pentagon Papers to get to grips with the vast amount of secrecy they contained. They then compose articles for the newspaper to be published the next morning, if Kay allows them to go to print that is. With men in each ear telling her what is best for the company, Kay finally has the courage to stand up for herself. The tension rises and in a historical moment, Kay finally decides to make her own decision. Since she overtook her late husband’s position, she allowed others to tell her what to do but not this time, not when it really mattered. The film ends with a subtle hint at the next journalistic discovery that would shock the American public all over again and bring the Nixon administration to its knees – Watergate. Considering Donald Trump’s White House has declared war not just on the media but on ‘truth’ itself, there is something quite relieving about being reminded that the press always have and always will stand up to those in power.